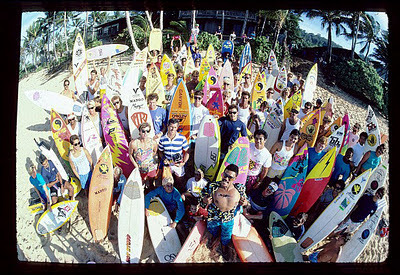 Back in the 1980s, Herbie Fletcher put together "The Surf Team" for an Astrodeck photoshoot. Just about every big name surfer was gathered together for the original shot taken on the North Shore and 20 some years later he recreated that shot. 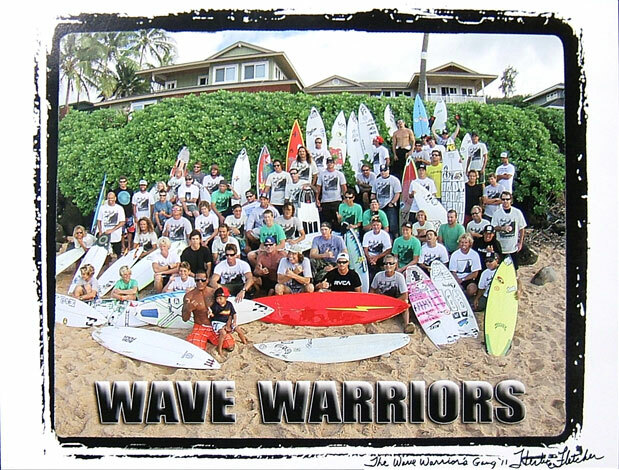 Some of the original participants like Rory and Buttons were present along with "New Schoolers" Kelly and Rob, underground chargers like Bruce, Aamion, Fuller, and Reef and the next generationers like John John and Kolohe. Artist and director, Julian Schnabel shot this remake. Good lineage. Herbie dropped this off earlier this week for our archives.